Are you looking for that gaming edge? Gaining an edge in competitive gaming may seem like an extremely difficult task for the average individual, and if we’re being honest, chances are that our custom controllers for xbox one won’t help you get those extra headshots, but what you may be shocked to know, however, is that playing with an aesthetic controller from Kinetic automatically makes you a better gamer. Our custom controllers are an excellent way to communicate to your friends and family that you love to maximize your play experience. 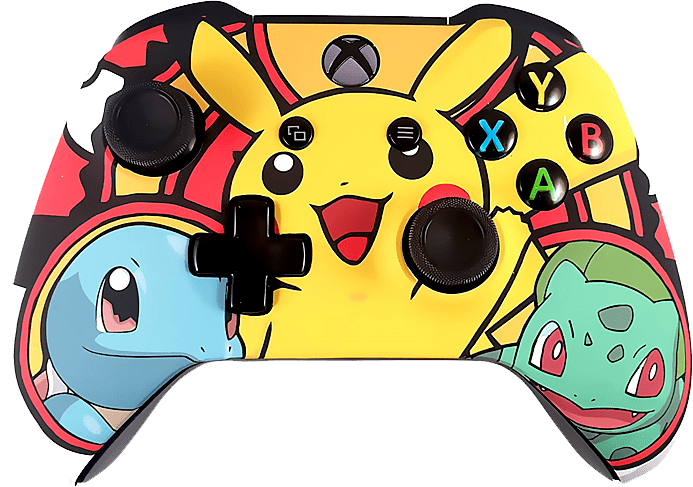 Getting custom controllers for Xbox one is a fantastic method to feel better about your slow response times that are always caused by server lags (we believe you). Custom controllers for Xbox one are designed to help you over long gaming sessions. Making sure that you can play longer can help you on the path to becoming a better gamer. A controller that's made to last will ensure you are getting precision controls even if you are playing heavily. When you are playing over long hours it's very important that you have a controller that properly designed for your comfort. Making sure that your controller can be comfortable to hold over long gaming sessions remains crucial to keeping in the game.Custom controllers for Xbox one can help with your gaming comfort and endurance. Your hands are filled with glorious rays of nostalgic memories. Or what about the endless hours spent reading your favorite superhero comics because the reception only picked up the news channels? Relive those incredible childhood moments with a themed custom xbox one controller! Looking for that extra luxury? 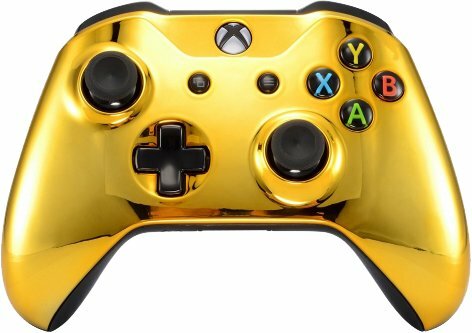 Imagine for a moment, a metallic gold custom xbox one controller sitting on top of your black media cabinet you purchased and assembled from IKEA. Your not just adding value to your gaming experience… your adding value to your entire house. If gold isn’t your favorite element on the periodic table, don’t worry, as Kinetic also offers pearlescent violet and other exclusive finishes. We understand that your recent trip to the mountains of Japan to experience the beauty of the autumn blossoms has inspired an obsession to exclusively watch obscure anime shows without subtitles. 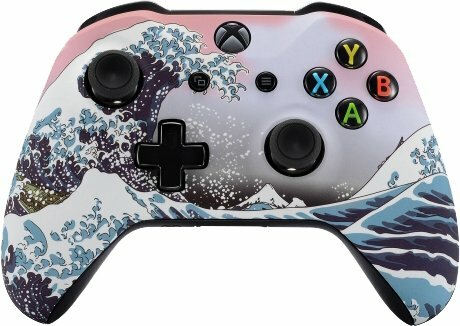 So Kinetic developed a custom Xbox one controller with a velvet finish that matches the inspirational tattoo that now covers your entire left arm.